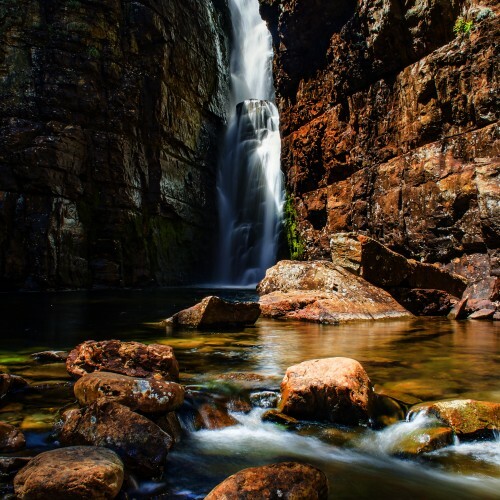 At the eastern end of the Never Never, a mostly trackless valley through which the Mersey River flows from Walls of Jerusalem to Cradle Mountain National Park, is the impressive Clarke Falls. 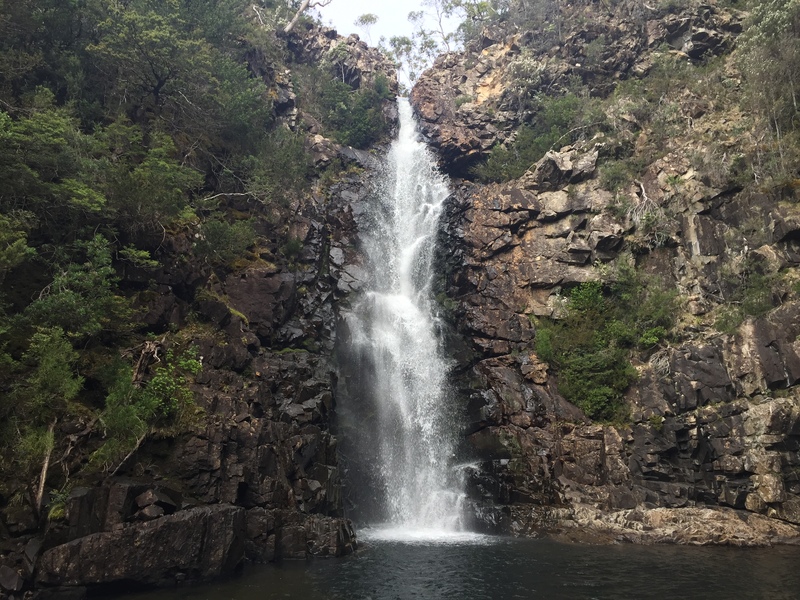 The falls plunge 15-20 metres through a narrow cleft in the cliff, making for a powerful and spectacular display in winter. 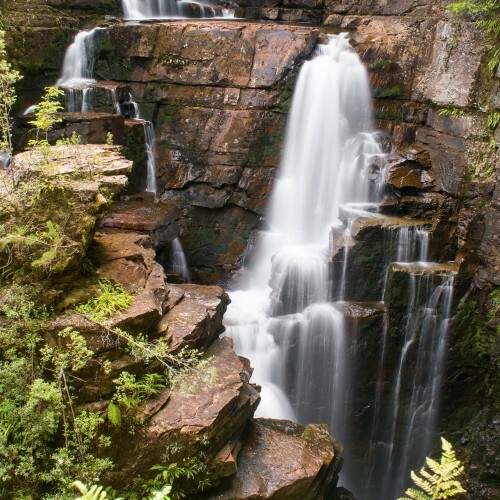 Even in summer the falls retain strong flow and are well worth a visit though, as this photo from a dry January attests. 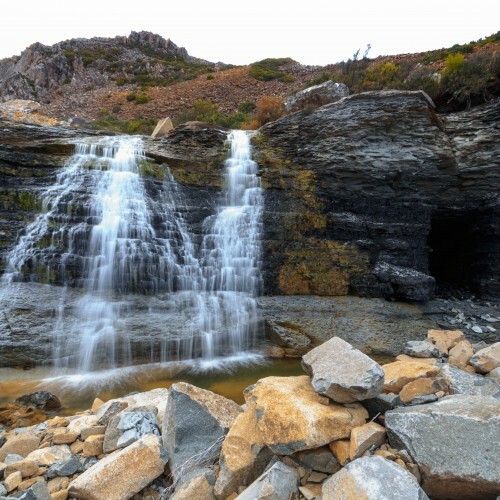 The falls are not accessed by any official track, however if you are camping at Junction Lake there is an unofficial trail that leads around the lake, before descending steeply towards the river below the falls. 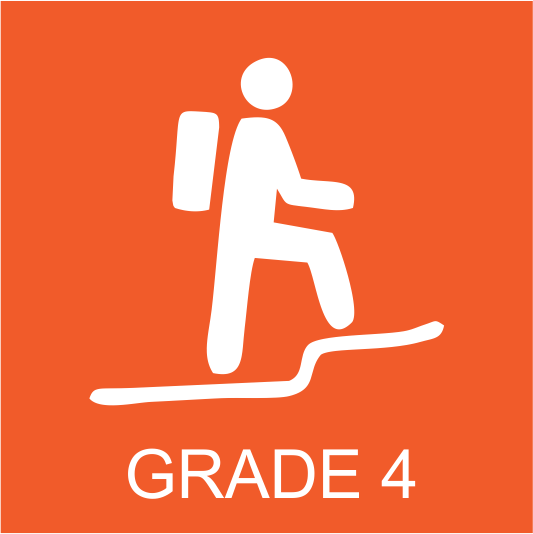 The track itself actually diverts away from the waterfall to head into the Never Never, so to reach Clarke Falls you have to leave the already faint trail and cut across towards the base of the waterfall at about the halfway point of the descent. 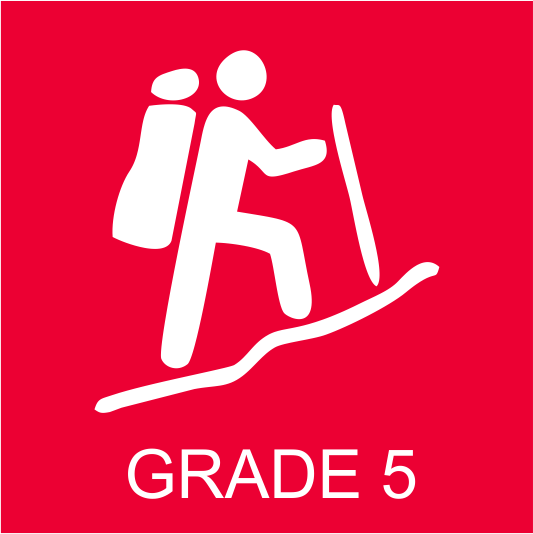 This off track descent is steep and difficult, and care should be taken on the way down as the soil is often loose, making it easy to loose your footing and slip. 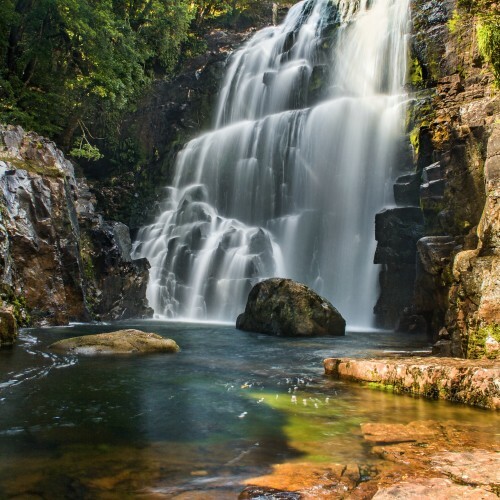 Once you make it down, you are presented with a wide pool fronting the tall and slender falls, which in low flow makes for a great swimming hole to cool off in. 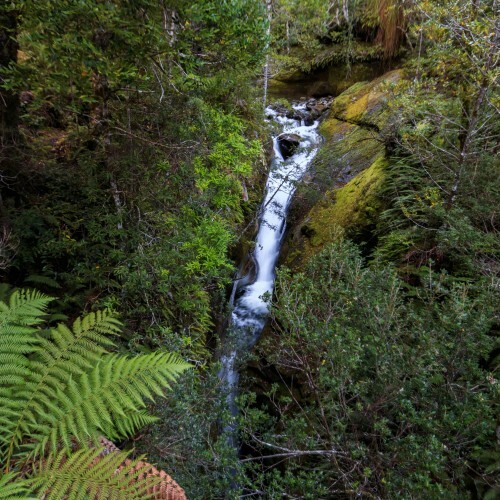 When flows are higher, however, even approaching this water would be dangerous, as a slip into the river could lead to being whisked downstream over the cascades below. 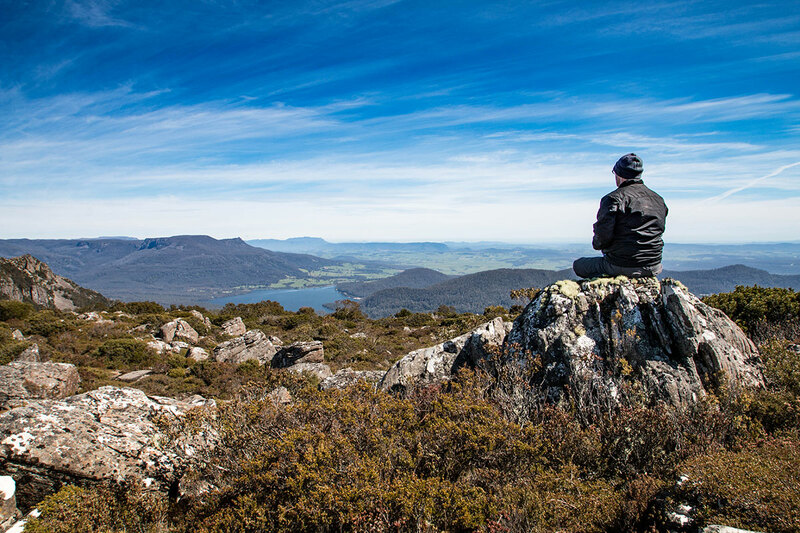 While the easiest way to reach Clarke Falls is by making a side trip from the hut at Junction Lake, it can also be reached coming from the Overland Track via the Never Never, a rough 6-7km one way hike through scrub and boggy plains. 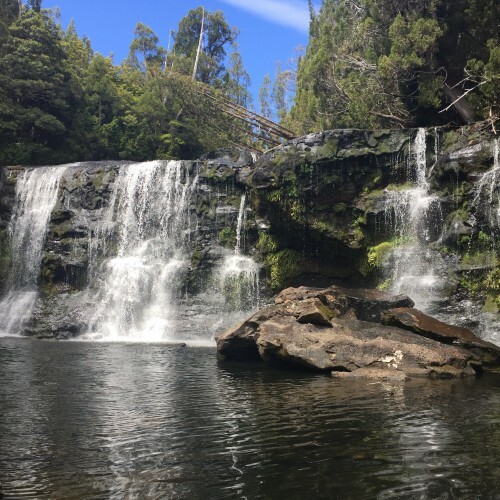 While it is rough, this route is scenic, passing a number of waterfalls including McCoy Falls and Feather Falls, and is often used to combine trips through Cradle Mountain with the Walls of Jerusalem.